While the entire country has become exponentially safer since the Escobar, cocaine days of the 1980’s and early 90’s, Cali continues to sit in various top ten lists of the most dangerous cities in the world. Undoubtedly there’s a lot of crime that happens in this city and it has caused the people to be very cautious of their surroundings. The combination of being away from security and the fact that many dangerous, criminal groups like the Guerillas live there, has given many Colombians a distrust for hiking in the mountains. 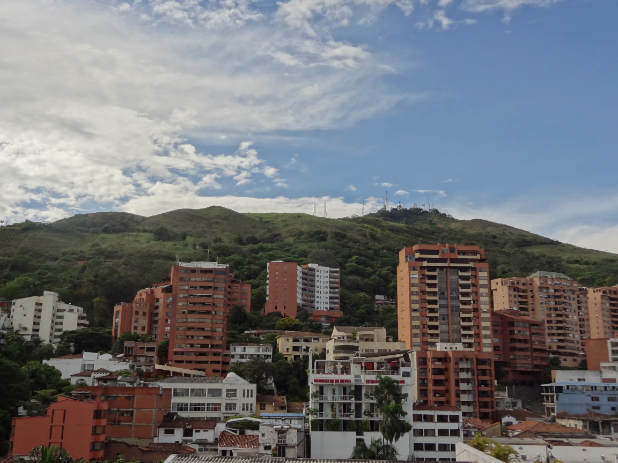 I’m currently renting an apartment for a month in the Granada neighborhood of Cali, Colombia with my girlfriend who is a local from the city. The view from our apartment balcony currently overlooks a mountain with three crosses at the summit. As soon as I saw it I knew I wanted to climb to the top and while most of the mountains surrounding the city may not be the safest to climb, I was given the green light to climb this one. Under a hot and humid sun we set off for what was supposed to be a relatively simple hike of a couple hours. My girlfriend and local tour guide hadn’t climbed the mountain in nearly a decade so she wasn’t exactly sure where to go. 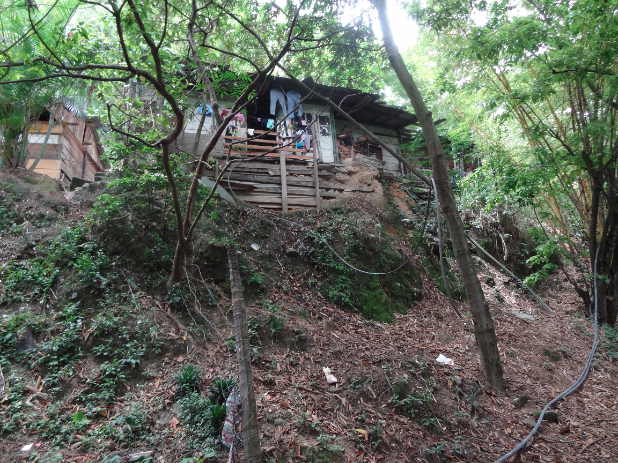 The trail was very pretty, with dense jungle-forest and little, poor favelas along the dirt road on the way up. We got lost for a couple hours along the way as we took the wrong route, but eventually we figured out a way and made it to the top. Throughout the hike my girlfriend seemed a bit tense the whole time as we decided to go a bit later in the day and there were not too many people around. Every person we passed she would ask if it was safe to continue and if other people were on the trail. 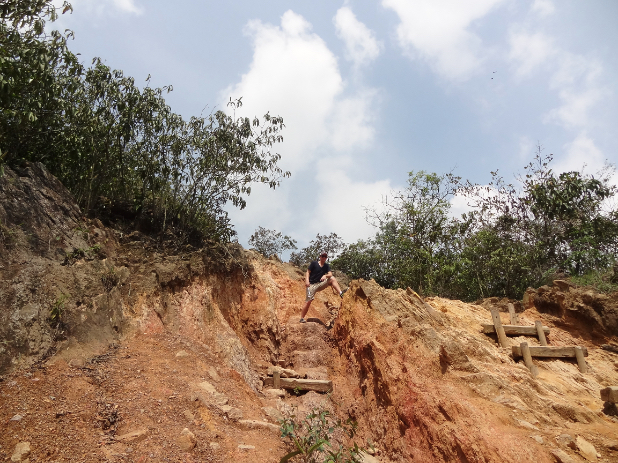 This is when I realized just how different hiking in Cali, Colombia was in comparison to back home. Colorado is such a popular destination for mountain enthusiasts that one of the problems with hiking is there are often too many people on the trails that take away from the nature experience. 14ers quite literally have a line going up them during the summer and people often complain about it. In Colorado, one of the objectives of a hike is to get away from others and experience, peaceful serenity in nature. As we started the hike I was thrilled that not too many people were around and we could enjoy nature, but my girlfriend was of a very different opinion. There were a variety of trails to get to the top and we accidentally took the more scenic, difficult and remote trail. Eventually it merged with the main path and finally my girlfriend was relieved and calm. On this trail there were security outposts with police at various points along the way and many more people. For good reason, many of the locals in Cali are so worried about getting robbed they do not want to be alone, even on a hiking trail. Every-time we came across someone on our more remote route she would inquire about the safety and when we would catch up to other hikers she was quite content to just join their group. 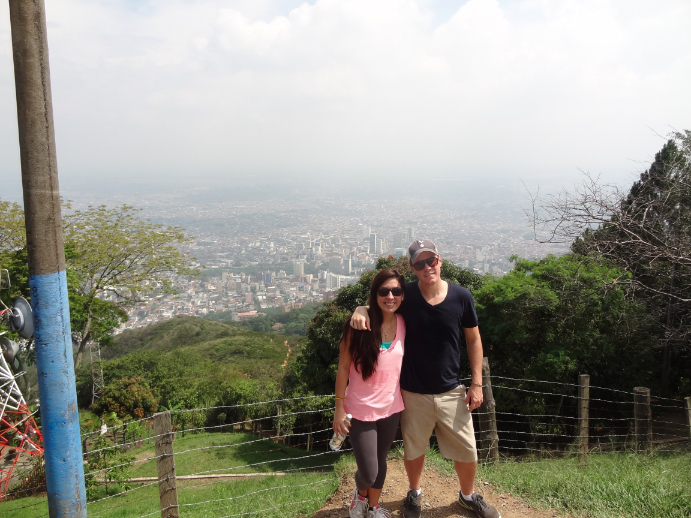 This is the major difference between hiking in Cali, Colombia vs hiking in Colorado.